According to research, retail sales from eCommerce websites amounts to $2,012,096 mln in 2019. 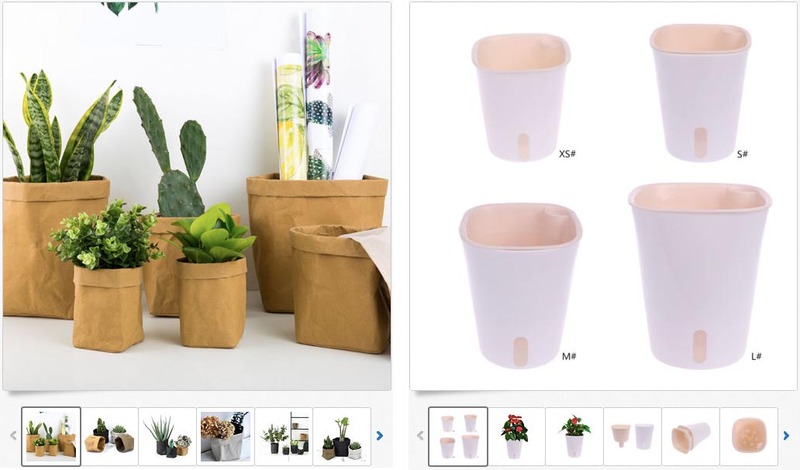 When you consider revenue is expected to show an annual growth rate (CAGR 2019-2023) of 8% resulting in a market volume of US $2,734,414 mln in 2023, there’s no better time to get into selling products in your own online shop. Online competition grows tougher every day. That’s why many people never bother pursuing an eCommerce store or business. Despite the stiff competition, you can still get your piece of the pie. It lies in the strategy you use to figure out what to sell online. Mobile sessions account for 39.6% of all retail sales on eCommerce sites. By 2021, it’s expected to reach 53.9%. There is potential for your customers to come to you while on the go. You need to be prepared with a mobile-friendly option that allows for mobile payment, even if it means using third-party services. In this definitive guide, you’ll learn everything you need to know to successfully sell products online. Nothing will matter more than the products you choose to sell. Your company name, the themes you use when building your store, and other elements like the shipping options you offer may have an impact. But, they won’t affect it as strongly. We’ll cover everything from what to sell online to how to sell online. We’ll address building your online store — which hosted eCommerce options are the best, other eCommerce solutions, digital marketing and inventory, and other important stuff you need to know to start selling products online for profit, even if you’ve never owned a physical store. Picking the right product to sell online is far from learning aerospace engineering, or what you call rocket science. However, this task is going to require some initial blood, toil, tears and sweat. You want a ‘hot product’ that will be selling online as quickly as viral videos gather traction on YouTube, don’t you? Then, take this task in dead earnest. This extensive guide will shed the light on the most robust non-trivial techniques that should help you choose your first product and start selling it online. It’s likely that you’ve already heard of Alibaba — a kind of Pandora’s box full of insights and inspiration. OK. What about comparison shopping engines, like NexTag or Pronto? Examples of unusual products and things to watch out are also included in the article to show you how creative (and sly!) a man can be purchasing and selling products online. There are tons of things you can sell online. And if you don’t take the time to research options ahead of time, you’ll fail. You can sell commodities or things everyone needs. Or, you can sell niche products online — those that only have a specific audience. Ecommerce stores like Amazon sell commodities. Etsy focuses on handmade, one-of-a-kind, unique items. These are niche products. Your brand can sell a combination of the two if you plan for it and market correctly. If you’re only selling commodities like those you can find on major marketplaces, you’ll have a hard time gaining traction. You won’t be able to compete on price since giants can buy items in large quantity. Coming up with unique products of your own can be difficult. That doesn’t mean you can’t find other people’s products to sell, though. Look for or create products that solve problems. It doesn’t have to be a brand new product, but it could be an improvement on another feature. On the flip side, launch products online only if you are sure they will allow people to indulge in guilty pleasures. If you can’t do that, find products you’re passionate about. Take, for instance, the story of Highway Robery. 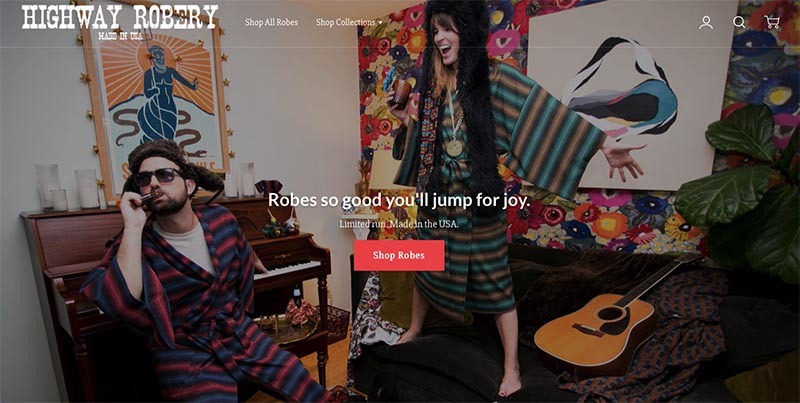 It launched after two friends found a pair of robes in an outpost while on vacation, and discovered they didn’t want to take them off. They came home and started selling products online because they were so passionate about their experience. Look for products with branding potential. This means you’ll focus on crafting a brand people remember and fall in love with. That means taking time to really get to know your target audience. Buyer personas allow you to create a picture of who your ideal buyer is, so you know how to structure everything for them. Get on trends early and launch your store before the craze. This might be the most effective online selling strategy. There’s a risk involved here, but it can pay off. Timing matters. If you’re early, it may not take off right away. But, if you’re already visible and selling products online when something becomes a trend, you’re way ahead of people who wait to come into the game once something is already trending. You can sell your physical or digital products online through your own branded store, Amazon, eBay, social media channels, email, Google shopping, Craigslist, affiliate websites, and more. Starting an online branded store is easier than ever now that there are hosted services to handle things like your SSL certificate, credit card processing, PCI compliance, and shopping cart. You can choose from any number of payment gateways. Many of them also provide business tools, SEO tools to help your eCommerce store appear higher in the search engines, and everything you need to get your website design looking professional. Each hosted service also offers an eCommerce blog with information to help business owners sell online successfully. You’ll find success stories, and other resources to help grow your business. The number of Internet users has reached 4.1 billion, as of July 2018. And more than half (52,1%) of them are expected to shop online in 2021. Can you imagine that? One in two users, pressing the power button on their PCs, will be ordering something online in just a couple of years. It means that setting up an eCommerce website to sell products online might not be the worst idea. The question is how you can do that effectively when everyone and their dog have already joined ‘Dallas sellers club’. Worries apart. We’ve got a couple of hints about selling techniques, buyer psychology, target market, and pricing strategies. And the most appetizing topic to discuss: how much it costs to sell a products online if you create an online store, start selling online with Amazon, eBay, Pinterest, other marketplaces, and social media. Selling a product means you’ve taken the time to do market research. If you don’t know who you’re selling to, it doesn’t really matter what you’re selling. When you know who you’re selling to and what you’re selling, you’ll then need to figure out the eCommerce platforms you want to sell on. You can start selling online on your own eCommerce site or use other online marketplaces like Amazon and eBay to help you, too. 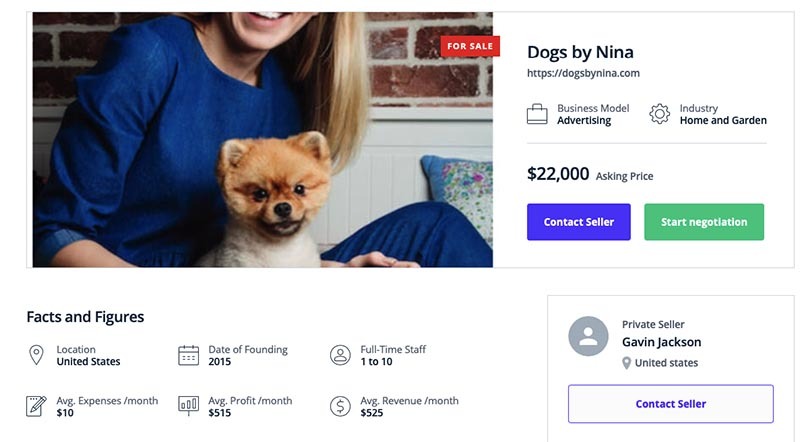 You may even skip the pains of starting your own online business and instead buy an already profitable business on Flippa, the largest online marketplace for buying and selling online businesses, including (but not limited to!) Amazon FBA, eBay storefronts and more. Successfully selling products online means you focus on finding products to serve a target market. It means researching your ideal buyer and crafting everything about your strategy around who they are. It means creating a strategy that will help you reach potential customers, but keeping things flexible enough to make changes as needed. Selling on Amazon is a great way to get started. Why? Amazon is the most popular online store in the United States, with 2,8 billion US dollars net income, as of Q3 ’18 quarter. So you can fully rely on the popularity of Amazon to help people find your eCommerce store. So where should you start? First of all, pick a product you are going to sell online with Amazon. Just to give you a rough idea, you can sell pretty much anything (from a phone case to a Dutch oven!) except restricted items. Once you know what you’re going to sell online, you’ll choose a plan. You can pay $39.99/month to sell an unlimited number of products online, or pay $0.99 for each item you sell. If you’re just starting out, it may be a good idea to use the individual plan as this means you’re only paying transaction fees when you make a sale. Otherwise, you’re paying a flat fee regardless of what you sell. If you don’t expect to sell 40 items, you’ll waste money. What you also need is to purchase GTINs, EANs, or UPCs for your Amazon listings, depending on the country you live in. This is a new requirement for online sellers but you have to follow it to create a new product page. 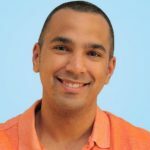 Use Amazon SEO techniques to improve your product visibility on Amazon. It is a search engine just like Google or Bing, that will help you drive traffic to your products. After they’re listed, people will be able to buy them. But, if they can’t find them with Amazon’s search, you’ll have zero online sales. Another effective way to slightly push your target audience into buying your items is using Amazon Ads. This is a fully-legal way to drive some more traffic to your listings. Sure thing, there are a few more not so dirty tricks sell better your products online with Amazon. For example, Vendor Powered Coupons (VPCs). Though this is a paid marketing tool, it can trigger your sales especially if you are competing in a tough niche. eBay says shoppers are performing more than 250 million searches every day. That’s 3,000 searches per second! Your buyers are there, too. They just need help finding you. And if you think you’ll only reach buyers in your country, you are wrong. eBay also says approximately 20% of sales are cross-border, so people are shopping globally for what they want and need. Just to make sure you know it, eBay is an auction platform for buying and selling products online. That’s how it differs from Amazon, Etsy, and other marketplaces out there. Retailers love auctions for dynamic pricing, allowing them to sell their products and services online for a higher price. Stats show that around 50% of eBay auctions result in higher sale prices than the “buy it now” price. Of course, you’ll have to pay a penny or two to the eBay founders for being able to advertise on their marketplace and sell your products online to their audience. What’s the price tag? Actually, there are four fees — insertion fees for getting your product listed, final value fees, advanced listing upgrade fees, and supplemental services fees. If you are still not sure what you can sell on eBay, just check out the list of top selling items on eBay. Selling on eBay is simple. Take a few pictures of your products. List them using the online selling format you think is best for you. Then, drive traffic to your listing. When the item sells, ship it, or deliver it via email. You can get shipping discounts for any physical product orders and print labels with eBay. Then, get paid. A quick note about your product photos: they need to be good. Since people can’t touch or feel your products online like they can in your physical store, your images need to be enticing. You don’t have to hire a professional photographer if you’re on a budget. But you do need to make more effort than snapping a quick pic with your smartphone. Invest in a few studio lights and a white backdrop. Lighting makes or breaks your photos. Watch for shadows and flares. This keeps your photos clean. Take photos from multiple angles to provide as much of a view as you can. If possible, take some lifestyle shots, putting the product in the hands of those who use it. If there are unique details, take photos of all angles, and then create a 3D rotating slideshow for your customers to use. When listing your item, you’ll need to describe what you’re selling. Use keywords wherever possible to help boost visibility in searches. You can choose between an auction listing format and a buy it now format. Next, choose your shipping options and you’re ready to list. eBay has tools that help you calculate postage, add tracking information, and create and pay for your labels. This makes running your eBay store even easier. If you are a crafter, Etsy can be a wonderful platform. As opposed to Amazon and eBay, Etsy only allows you to sell handmade or vintage items, and craft supplies. Reselling items you did not make is not allowed on the Etsy platform itself. Craft supplies can either be handmade, vintage, or commercial. But they must have a primary purpose of crafting. This guide is chock-full of useful tips and insights that should help you fine-tune your listings and grow your eCommerce business with the help of Etsy. You’ll find out the list of best-selling items on eBay, such as jewellery or stickers. You’ll have a clear vision of what should NOT be listed under no circumstances, how you can shoot awesome product pics, how many items can be sold online with Etsy, and how to create stellar product descriptions. We’ve also included the best tips and tricks to drive more traffic to your online store — from following-up with buyers to just being polite. Yes, that also works! And, finally, this article will help you understand if Etsy is the right platform for your eCommerce business. Using Etsy for selling your products online is projected to be rather profitable in 2019 as the platform is growing rapidly — from $74.6m in revenue in 2012 to $381.1m revenue in 2018. As of 2018, there were more than 1.98 million active sellers, up from 1.74 million in 2016. Selling on Etsy is as easy as creating a shop account, listing your products, and promoting your store. You’ll pay a $0.20 listing fee per item and a 3.5% transaction fee. A report from KPCB shows Pinterest is U.S. shoppers’ social media platform of choice, with 55% of users turning to it to find or shop for products. For Facebook and Instagram? It’s just 12%. People are already there looking for your products and services. So make sure you’re there to be found. To start selling online with Pinterest, you have to know the way this social media platform works — what is the age, gender, location, and income of Pinterest’s target audience; how much money they are ready to spend; what products they are interested in, you name it. A few years ago, for example, Pinterest was good only for a narrow group of designers, looking for inspiration. Today it’s a vast community fit for all kinds of interests, including recipes, books, sketching, and a lot more. That’s why choosing a product to sell on Pinterest is not a problem anymore. Stats show that art and jewelry are the most trending products that you can sell online with Pinterest. That’s why we devoted the whole two chapters to help merchants sell them online more effectively… especially if the competition is too stiff. Selling on Pinterest is a bit different because you’ll need a business account with followers to advertise your products to. But even if you don’t have a massive follower base yet, you can use Promoted Pins to advertise your products. This way you have a chance to get someone to follow your boards and buy your products. You’ll create your business account. Then, populate it with boards and content. Find people to follow. Encourage your fans to follow you on Pinterest by sharing your account information on social media and on your ecommerce website. Add a Pin it button to your photos on your eCommerce website. When you have a Pin for your products, you’ll follow a series of steps to activate buyable pins. Then, whenever you create a Pin that points to a product detail page URL, the Pin will automatically activate as Buyable. It’s a good idea to make multiple Pins for the same product so you can show it from different angles, or change the description. When a pin is buyable, it adds a buy button so users can purchase your products online without ever leaving Pinterest. Mobile users are spending more than 50 minutes per day on Facebook’s platforms. Facebook data shows 30% of U.S retail shoppers have discovered a new product on Facebook, and 20% of them said Facebook led them to buy a new product or service online. In 2018, Facebook saw more mobile conversions than desktop conversions for the entire Holiday season. It began with Black Friday with mobile transactions growing 55% year over year. By the end of the season, mobile made up 51% of the total online transactions, more than a 10% increase than what they saw in 2015. It means that now is probably the best time to start selling online with Facebook. Or not? This extensive tutorial for beginners will weigh up all the pros and cons of selling online with Facebook, so that you could make the right decision, with your eyes open, not because all your friends are already trying to sell online there. You can integrate your online store from another eCommerce platform with your Facebook page. You can use Facebook Ads to drive traffic back to your store hosted elsewhere. You can post product links on your timeline, and more. You can also use the Facebook Marketplace — a mobile-only buy-and-sell tab to list your products for sale. You’ll be connected with buyers via Messenger, which also supports payments. Though it’s targeted primarily at person-to-person transactions like those you see on eBay or Craigslist, it can work for your business, too. If you decide to use Facebook for your eCommerce business, you’ll need a little push to get your sales pouring in like gasoline on a fire. Am I exaggerating? Quite possibly. Anyway, there are a few options. You can try to generate engaging content yourself. Or coax your loyal customers into creating some favorable UGC about your eCommerce site. Or even launch a Facebook giveaway on your Fan Page. 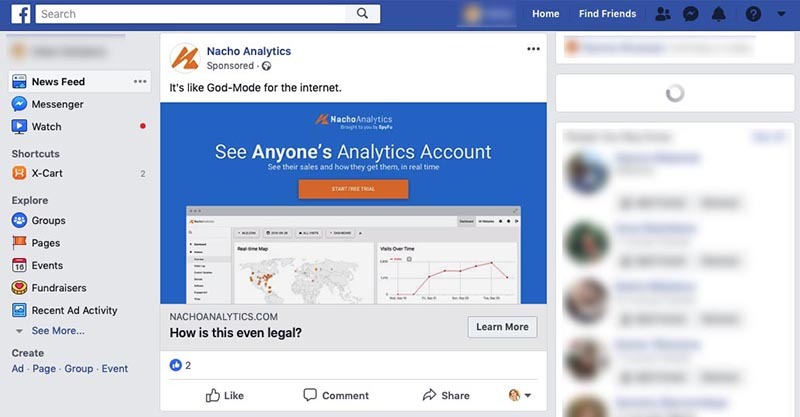 Another legal way to attract mass attention on Facebook is to use Facebook ads. Though Facebook is the largest social media network with more than a billion users all over the globe, it’s also one of the most competitive. Instagram has grown by 357% from 2014-2018, reaching 1 billion monthly active users, compared to 57% growth for Facebook and 50% for YouTube in the same period. Not selling there is a missed opportunity. But keep it in mind that you’ll have to adhere to the community rules to sell successfully on Instagram. First and foremost, you should have real followers, attracted organically, not Instagram ‘ghosts’ — spam accounts usually created by bots. To create a stronger first impression, the ‘Bio’ section of your Instagram profile should be carefully filled out. It is at the heart of your Instagram profile and it is worth your attention. And, sure enough, the link to your eCommerce store should be there, too. Do not forget adding hashtags and calls to action to each and every post you publish on Instagram. This is the way your potential customers will be able to discover your services or products online. Instagram is the place where soulless stock images do not work. So show your personality, actively communicate with followers, and give back to those who post user-generated content. 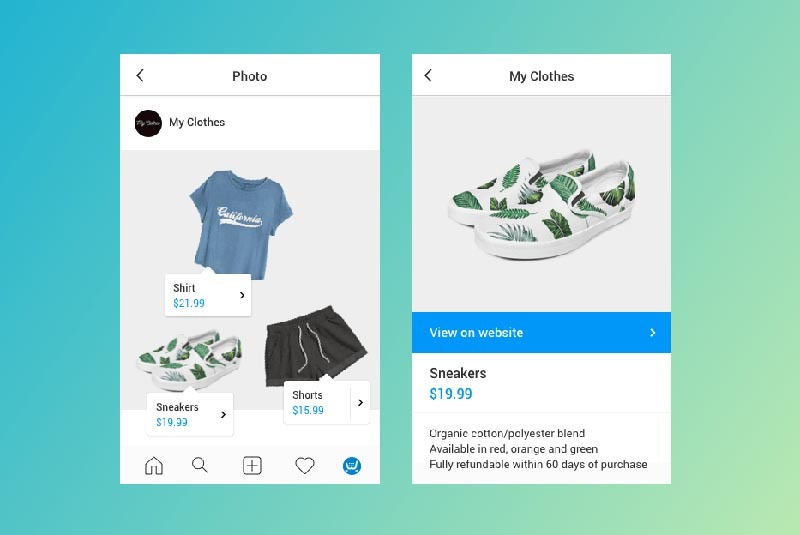 You can create an Instagram store with a third-party application like Shopseen. This turns your accounts into a digital storefront. It syncs your inventory directly. Then, upload your images to Instagram. 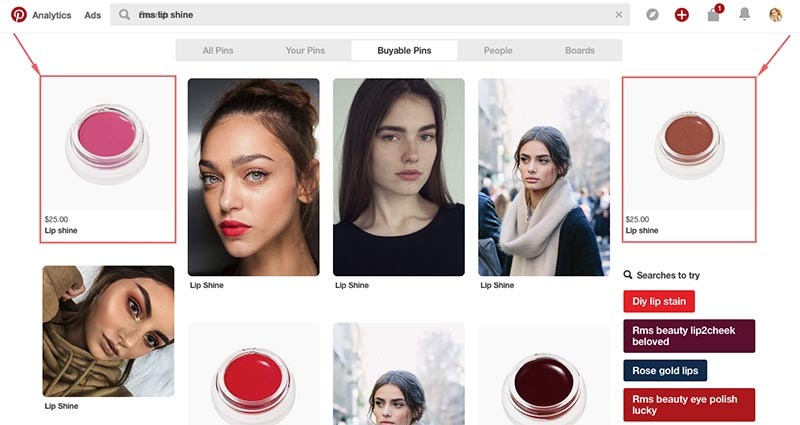 Alternatively, you can make your Instagram shoppable with product tags. This allows you to treat your Instagram like a lookbook, rather than a store. You can only have one link on Instagram, in your bio. You can change this link based on the campaigns you’re running. It’s a good idea to make sure it points to your store. Everyone wants to be successful in business (and in life), but very few business owners acknowledge that it’s 2019 already, and your marketing strategy should be leading-edge, too. Otherwise, you’ll never be successful online. 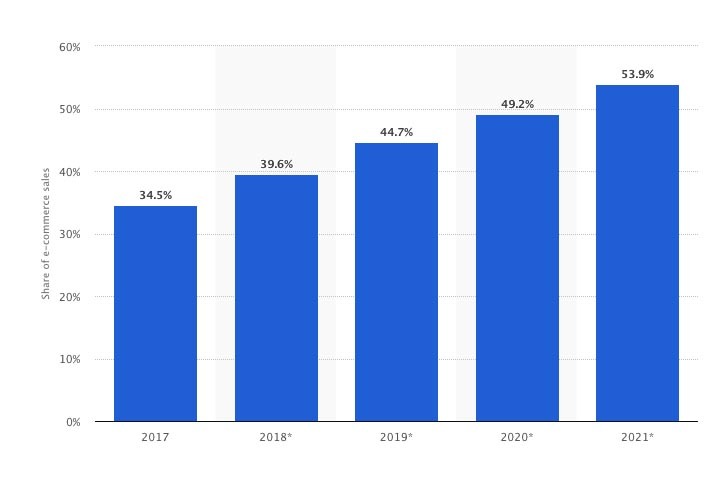 Considering that the world population has reached 7.7 billion people in 2019, the total number of users shopping online is equivalent to 27,7% of all the people living on earth. And the more people find themselves ordering stuff online, the stiffer the competition… and, alas, the less you can be sure you win. However, there is a solution — omnichannel retail. You have to become an omni-channel hero to get a chance to beat your retail competitors. Let’s put it simple. If they call you an ‘omni-channel hero’ it means that your customers get a seamless shopping experience whether they are shopping with you from your own eCommerce site, Pinterest, Facebook, Instagram, Amazon, or any other platform. This extensive guide will show you the four biggest challenges of omni-channel selling, the first essential steps you need to make to become an ‘omnichannel’ superhero, and examples of omnichannel customer service that rocks. Many online retailers use omni channel marketing, especially those at the enterprise eCommerce level. You don’t need to have a large online business to benefit from this approach. It allows you to market to customers from all angles, thus providing unforgettable customer service. You can start selling products online through email marketing, use printed ads, or deliver your message through any other marketing channel. Before you start implementing omni-channel techniques, you’d better have a clear understanding what kind of eCommerce SaaS options are available on the market, what kind of web hosting you need to manage your own eCommerce store, whether to use a website builder or to hire a web designer, and how you will manage your inventory and pricing across all your stores from a central location. When you’re finished with this comprehensive guide, you’ll have everything you need to know to get started building your eCommerce business. You’ll learn valuable information you won’t get elsewhere you can use to grow your eCommerce business. Selling online won’t turn you into a millionaire overnight. But with consistent effort, you can become quite a successful online business owner.